What are you currently working on or towards in World of Warships? Are you taking part in melting snowflakes for coal/steel or participating in any of the campaigns (The Mighty Prinz or Steel Monsters) or collections (La Belle Epoque)? Or are you taking part in Clan Battles, Ranked Sprint, or grinding up a tech tree line to unlock the next tier vessel? It's 2019 and with lots of paths to choose, which one are you on and how is that going? 2. Zao - Almost finished with Mogami which has been surprisingly fun. 3. Moskva - Finally finished Budy last night. 5. Yamato - On the Nagato, but not very far. I want to try and finish all the Cruiser lines this year and add another T10 DD and BB. I'm grinding commander points for my 1st 19pt commander. 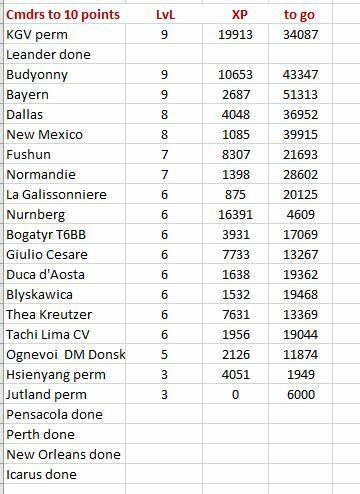 With all the PEF events & missions my German BB commander is halfway through 15. With the PEF I can work on 5 of thew 6 missions I need at the same time. Not really any ship line I'm actively grinding. After that... probably a long break from the game. I'll be grinding credits to get the PEF, then hoping I have enough time left to get the new years camo using her, at least up thru the Dallas. Freaking 100 ships to go on snowflakes. Going to have to take a break to grind out 24 million credits and the entire PEF steel and ship campaigns now though. Just grinding free xp really very excited for Alaska to come out. I’m close to Conquer but I’m in no rush to get it at the moment. I'm grinding legendary mods and currency for the azuma and fxp and credits for the RN CVS. Nothing else to grind for. PEF - Directive 4 grind and finishing Nerves of Steel start tonight; thank God I already have the ship or I would be giving up at this point. 4 million in all of 6 nations is simply too much for some people's available playing time. Neptune - having a lot of fun with this one in co-op, thanks to WOWS premium time. Will probably be my non-PEF ship for the Directive 4 grind. How long can I grind this ship in co-op before I get sick of it? How close can I get to the Minotaur? Stay tuned! After that, a break at lower tiers is required, for sanity. Then I am travelling abroad for a while; will miss much of 0.8.0 and the first part of 0.8.1. Please for the love of God, let whatever happens to win the Leningrad/Minsk camo come after I get back. Need silver to purchase the Fletcher and French Saint Louis. I also unlocked the Mogami and Chapayev so those will be purchased shortly. Mostly want the Fletcher, heard it's good. I have like the other French Cruisers I didn't even know I had the exp on the Charles Martel to unlock the Saint Louis I liked playing it so much. All of them... every line... all lines are at least T8, some T9, and one unlocked T10. (except CV (t6)).. Im also grinding captains.... About to turn my third 19pt. I'm on Maass trying to get Z-23. I also need moar credits to purchase Lightning. I have about 120k free exp until I hit 1 million, which will be spent on Alaska. I may get set back a bit on that depending on when I unlock/purchase Z-23 and Lightning. I also should take out Yuugumo, Kitakaze, Harekaze, Alsace, Fletcher, and Kidd, plus some others for their snowflakes, but I'm not sure if or when I'll get around to that. Still working on Myoko, Gadjah Mada, Algérie, and Minsk. Yes, I have been grinding all the lines for most of my time here. Accumulating Free XP for Alaska. The epic grind called "24 million to ships and steel after the PEF". The forever waiting while people make up their minds grind = Alaska release. The when are they just going to change the name of this game to "World of CV's" grind = 0.8.0 release. After bouncing around a lot, I've found a bit of a home with Admiral Hipper. Looking forward to acquiring Hindenburg later in the year. This week is PEF and NC for the Directive IV credit missions. I'm also working on this year's goals of more 19pt Cmdrs and 10pt Cmdrs for all T6+ ships (and Cesare). I'm also grinding something in almost every tech tree line. I actually have nothing left to grind at the moment (and kind of glad of that frankly - ready for a small break from grinds). I have reached T10 for all BB, Cruiser, and DD in the game (no real interest in CV new or old - might try new ones but don't like how it has gone and can't see well enough to play old ones), Have all the FXP ships and enough FXP waiting for Alaska, have 3 Coal ships (Jean Bart, Salem, Charleston), I am done with my 150+ snowflakes (got Flint), and I am finished with any campaign, event, mission, collection, etc... that is currently going on and is doable in Co-op (only mode I play). The one exception is I am stuck on the final task of the Mighty Prinz campaign. It calls for 1000 Base XP which is so hard in that mode (Co-op). Best I have done so far is 962 and I only know of one Co-op main who has done it and he had the perfect storm so to speak which let him do it. I probably won't complete it. In 11K+ Co-op games at every tier I have only passed 1000 Base XP 10 times (a 240K 8 kill Co-op game in Republique didn't even break 1000 Base XP!). It is just too hard for that mode but it is what it is. So there just isn't anything available to me to grind right now. I would like to grind out Yamamoto like I did Halsey but it can't be done in Co-op. I would like to do Science Of Victory but it can't be done in Co-op (a few tasks can be but the final tasks all call for Randoms). 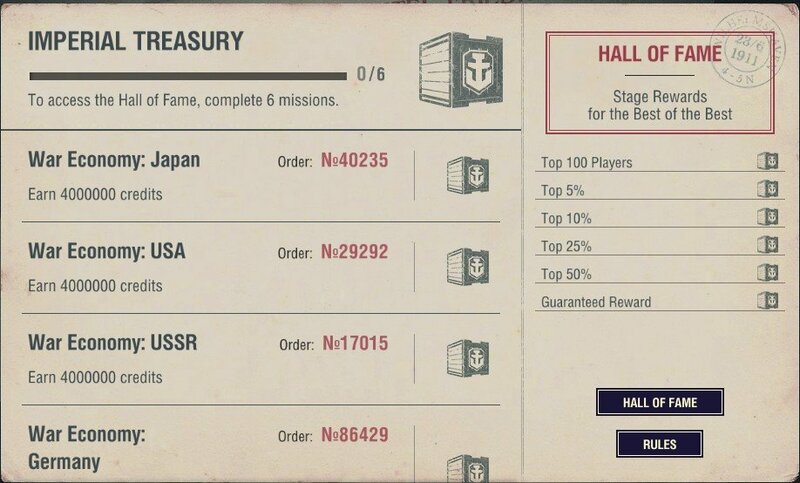 I would like to do Honorable Service but again can't be done in Co-op. So I have done everything I can do at this time. Really the only thing left is 19pt Capt's. I have a ton already (most every T10 and some T9's have them) but would like to have them on all my ships eventually. Done snowflakes, near done collection, need PEF to start campaign, at this point - I'm grinding credits having obtained the last outstanding ships unlocked from anniversary. Enough to buy them, but not out fit them, or my JB, or my [every coal ship that was available] and several other ships, even if I can still do well in them. I co op upgrades and commander retraining because I’m too cheap to fxp stuff, which works ok for lower tiers but I’m finding a bit tedious for higher tiers. I only buy ships when there is a tech tree sale (cause I’m cheap...) so got a boat load this xmas: Shiratsuyu, Myoko, Kagero, Udaloi, Donskoi, Maass and Richelieu. And from Thanksgiving, the Farragut which is set to go, and Seattle for which I should finish the last upgrade this week. And then there are the ships ready to go: the aforementioned Farragut, and then Jervis, KGV, Yorck, Algiere, Jianwei, and Colorado. /whew, that’s a ton of grinding. Once I get to about 4 ships to co op left, the T8s and T9s, I’ll start the random grinds on 2 set to go ships, I haven’t decided which though. Grinding credits for PEF requirements, then will use the ship to do the Campaign for Port Slots, and Steel. Also been grinding Elite Captain XP. I have every T10 except the carriers which I don't want. Plz release more new ship lines.